When you are looking for a veterinary care clinic you should be able to count on superior care and excellent service. 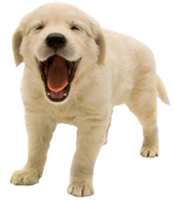 We at Pet Health Center of La Jolla in La Jolla CA have assembled an expert team of veterinary professionals to bring you the best possible healthcare for your pet. We have a state of the art veterinary facility which is clean, comfortable, and efficient. Call 858-945-4565 to schedule an appointment and we will find a time that is convenient for you. Once a year, you should take your pet in for a check-up. This will include a full physical exam where Dr. John Morizi will check the health of your pet from nose to tail. This is an excellent opportunity to discuss any concerns you may have about your pet's health, behavior, and the inevitable aging process. We carry a full line of prescription diets that can be used to prevent certain diseases and aging processes as well as therapeutically to treat existing conditions. Bring in any medical history you have of your pet when you come to our vet clinic. It's best to keep a journal of your pet's health throughout his or her life, including behavioral shifts. If you have something like this, share it with our team. If not, let us know everything that you think will be important. Dr. Morizi can still work with whatever information you have. In some circumstances, Dr. Morizi will refer you to a specialist who has advanced expertise in areas such as internal medicine or surgery. Bringing a cat to the vet? Veterinary exams are very important, even for indoor cats. Regular check-ups help keep your cat healthy and can help you identify problems before they become serious issues. But going to the veterinarian can be stressful for your cat. To your cat, the process of entering an unfamiliar carrier, a scary car ride, a strange waiting room, and then the examination can be very stressful. Feliway pheromones can help reduce the signs of stress your cat may be feeling while at the hospital. How to use Feliway pheromones to reduce the stress of veterinary visits. Spray Feliway on the inside of the cat carrier (one spray in each corner and two sprays on the floor and ceiling) at least 15 minutes before use. Also spray Feliway on a towel to place over your cat's carrier while in the waiting room. This helps block the cat from the strange sights and provides him with some privacy. The veterinary staff may also use this towel while handling your cat to help reduce the signs of stress. 1.A week before the visit, place the carrier in the open and prop the door open. 2.Make the carrier an attractive place by putting in soft bedding, and placing treats in the carrier. You may also want to feed your cat here. 4.On the day of the visit, spray the carrier with Feliway then wait 15 minutes before putting your cat in it. 5.Spray a towel with Feliway and place it over your cat carrier to shield her from the strange and scary sights. 6.Make sure the cat carrier is on a flat surface during transport. 7.Once at the veterinary office, try to keep your cat elevated, off the ground and away from the other animals. 8.Leave the Feliway sprayed towel on the carrier until your veterinarian is ready to exam your cat.